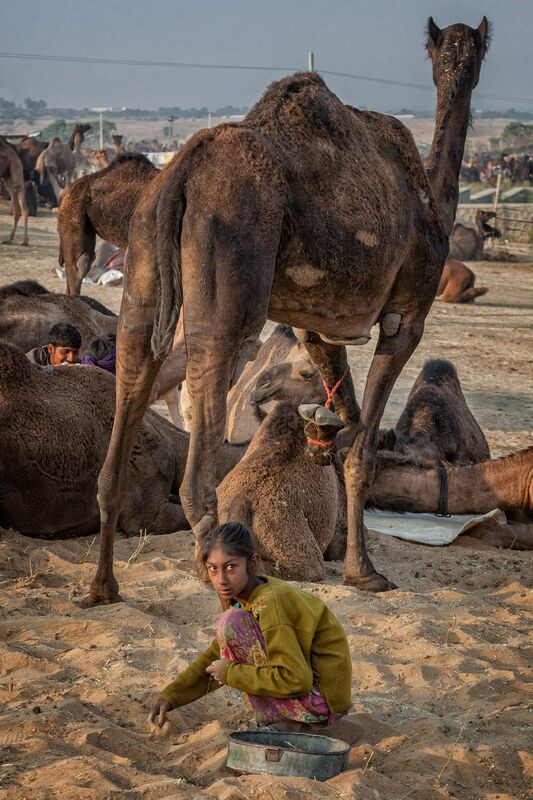 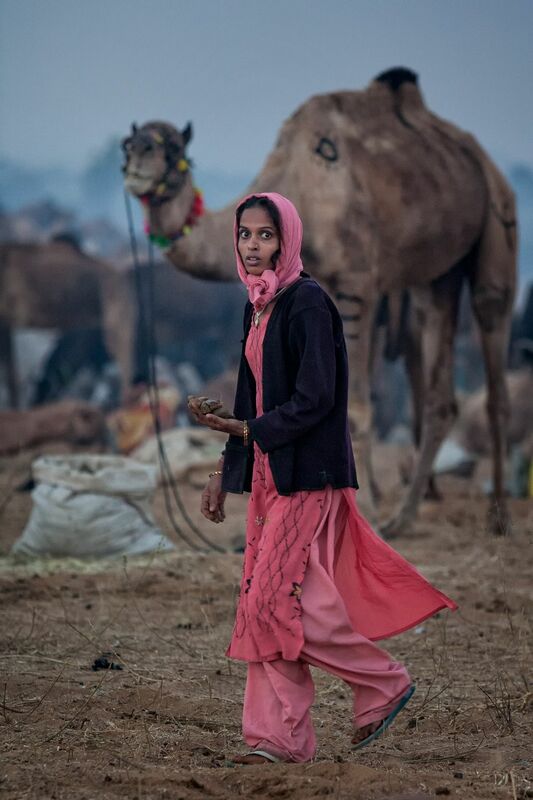 On the camel field throughout the day, but especially in early evening and near dusk, as the men are gathered around fires, chatting, sipping masala chai, and smoking their clay chillums, women and young girls are quietly gathering up camel dung and depositing it in large baskets. 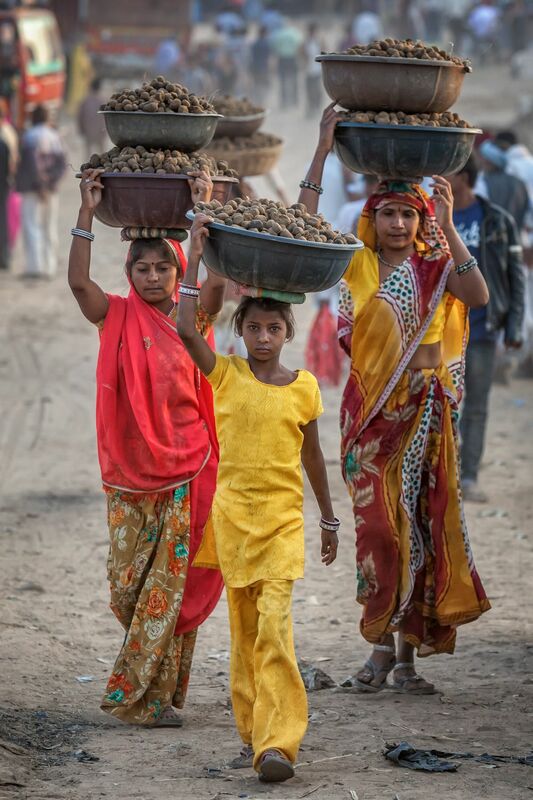 These heavy burdens they carry on their heads to clearings where the dung is sun dried and formed into cakes to be used as fuel for cooking fires. 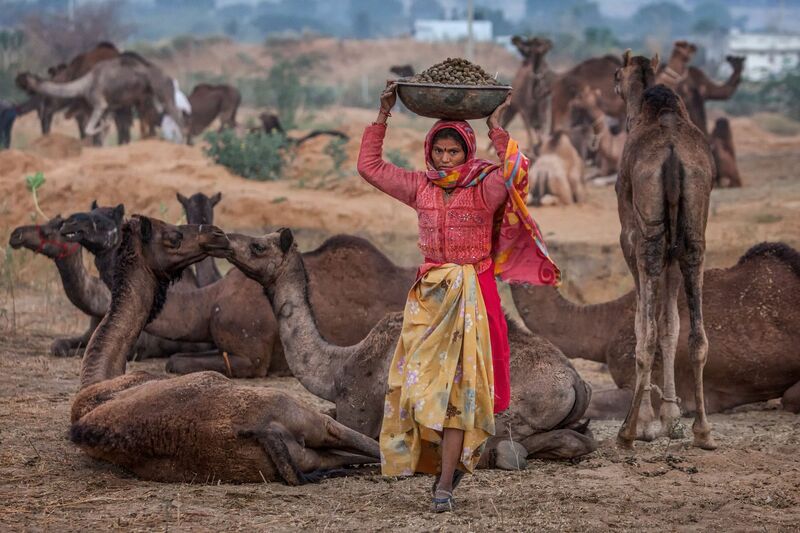 In traditional India, this is a characteristic form of female labor—arduous and essential but undervalued and undercompensated, and considered beneath the dignity of men. 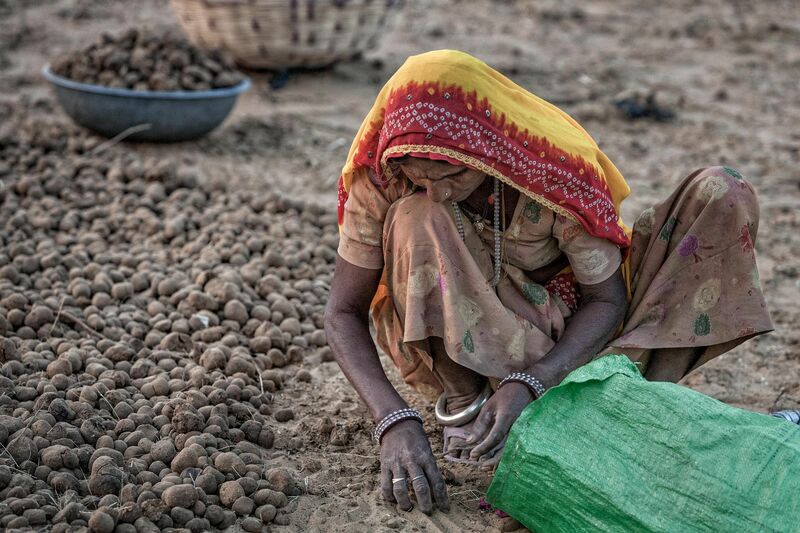 The last image shows a man selling the final product.